Tuckers Classic Auto Parts is your one stop shop for renovating and maintaining your 1955-57 Chevy Truck. 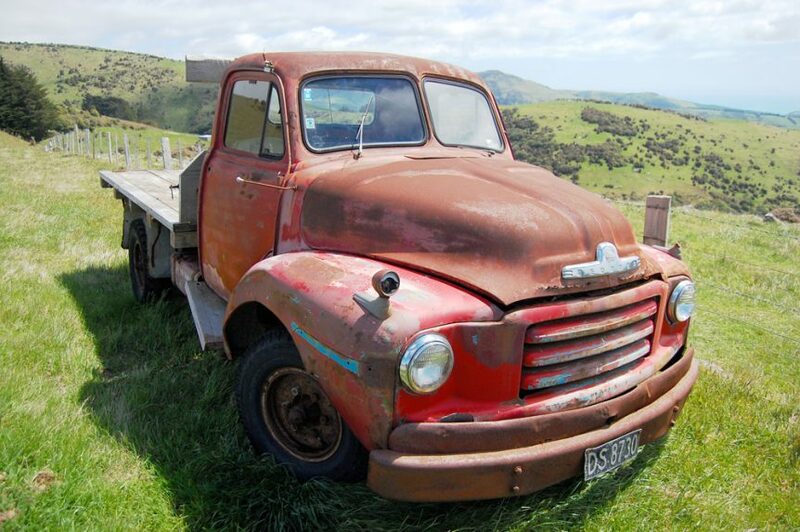 You can take a scrap yard truck that looks like it should be the next in line for the crusher and completely restore it to a road worthy machine that will be the envy of all that see it. Tuckers Classic Auto Parts will become your best friend in bringing this about. It is fun and challenging to restore an old Chevy truck, but it brings fun to an all new level when you can renovate, customize and trick-out an old Chevy truck. The Chevrolet Task Force was Chevrolet’s successor to the Advance Design series of trucks they came out with pre-1955. The Advance Design was such a huge success for Chevrolet that they knew they had to keep the proverbial ball rolling. Actually, from late 1955 through 1959. The Chevrolet Task Force of pickup trucks was called the Blue Chip Series, and is even known, to this day, in the early years of the 21st century, as a standard of pickup truck excellence from Chevrolet. In 1955, there were many standard options such as 12-volt electrical systems, the very first V8 (the 265 cubic inch) engine offered in a pickup truck, and fleet-side six, seven, and eight foot bed lengths. The 1955 Second Series of the ever so popular Chevrolet Task Force line had a new body style. There was a brand new, never-been-tried before “wrap-around” windshield. This was a truck industry first and this particular truck also could include an optional wrap-around rear window on all of its Deluxe cabs. There was a huge growth in the personal pickup truck market as this was also the first year that power steering and power brakes became available for the first time on Chevrolet trucks for home use. All electrical systems were upgraded to 12 volts and 1955 was the only year in Chevrolet history that you could buy a seven-foot bed length as a standard option. In 1955, fenders have just single headlights and a one-piece emblem is mounted below the horizontal line of the fender. In 1956 and 1957, a wider hood emblem is used to show off this fine truck. Two-piece fender emblems are mounted above the horizontal fender line and 1956 was the last year Chevy used the “egg crate” grille. In 1957, Chevy opted for a more open grille and this was the only year that this occurred. After 1957, the grille was much more closed as it had been in the past. In 1957, however, the hood was designed to be flatter with two spears on top, very similar to the 1957 Bel Air automobile. Fender emblems in this year are still above the fender line, but are now oval-shaped, as opposed to previous versions. It is the hood and the lifting mechanism are what we want to pay particular attention to in this article. The flatter hood in 1957, along with the rounder version in the previous two years, became a staple look for Chevy; and many car and truck enthusiasts could tell exactly what brand, year, and design of the truck they were observing just from the look of the hood. When anyone is rebuilding, refurbishing or replacing parts on these particular years of Chevy trucks, they want a mechanism even better than the original. They want a mechanism that will stand the test of time and look beautiful while performing the task. The original hinges on the hoods of the 1955-1957 Chevrolet pickup trucks are made of stamped, pressed steel. These are held together by inferior (to what we have now) riveting processes and compression springs. If you are restoring your truck to period, you want to find the exact hinges and springs that originally came out of the year of truck you are restoring. 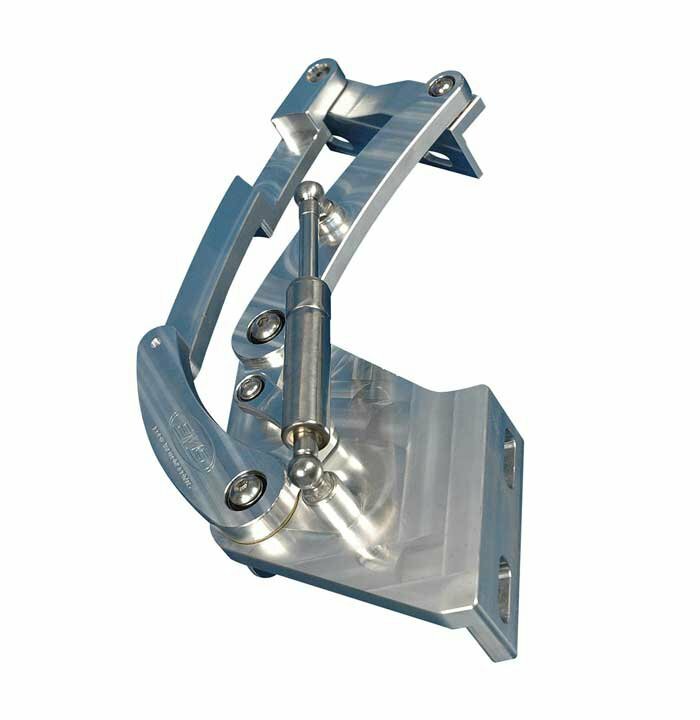 However, if you are completely upgrading and making your truck into a thing of lasting worth and beauty, polished billet aluminum hood hinges from Tuckers Classic Auto Parts and made by Eddie Motorsports is exactly the hood hinges you are looking for. Billet aluminum parts start their lives as solid blocks of aluminum alloy and the hinges for your truck hood are literally carved, by a CNC Milling machine, into the finest, most beautiful polished hood hinges you will ever see or own. Make the inside of the engine compartment of your Classic Chevy Truck as tricked-out as the outside and start with these awesome billet aluminum hood hinges.